The Comic Con starts Wednesday and the books are IN!! I'll be at booth D-8, so drop on in and say hi! 28 pages of full color mayhem! Head on over here for a description. Hard 8 Volume 2 will be there as well - check out the Hard 8 blog or my store for more info! For folks who won't be in San Diego this week, please visit rankinstein.com to catch up on all the goodness! 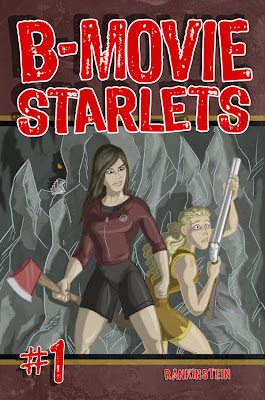 B-Movie Starlets #1 is at the printers and will arrive in time for the Con! 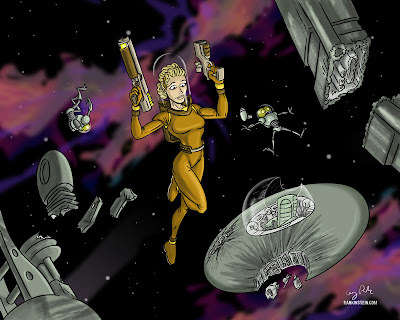 I'll also be selling original artwork, T-shirts and prints. 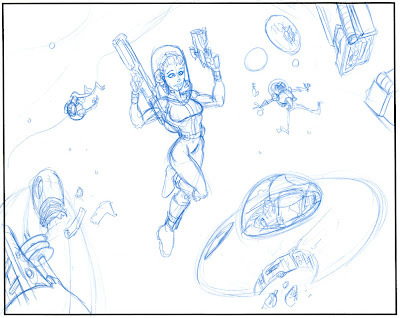 Here's a rough of a print I'll have at the booth.